Missoula – John R. “Jack” McInnis, 83, passed away at Village Senior Residence on April 1, 2019. Arrangements are under the care of Garden City Funeral Home and will be announced. Our matriarch, mother, grandmother, great-grandmother, mother-in-law, friend and neighbor, has left us. Charlotte Niklas died March 30, 2019, in Helena at the age of 107. Charlotte was born in Helena on July 6, 1911, the daughter of Lena Rabe Zoeller and Emil P. Zoeller. She attended Catholic schools and graduated from St. Vincent’s Academy. In June of 1935 she married Tony Niklas (for whom the Bill Roberts Golf Clubhouse is named). He preceded her in death in 1985, after 50 years together. During her younger years, she worked at U.S.F. & G. and the Industrial Accident Department for the state. In the 1950’s, the family moved to Billings, MT, where they lived for five years. There she made many new friends. In 1958 the family returned to Helena and in December of 1959 moved into a new home in Sunhaven, the third home built in that subdivision. In 1991 she sold the family home and moved to Spring Hollow Court, being one of the first owners in that development. She always loved change and new things. In September of 2005, she sold her condo and moved to Touchmark, where she made many new friends. Her Catholic faith remained strong throughout her life. She was a member of the Cathedral parish for many of her early years and a member of St. Mary parish for over 40 years. Charlotte’s interests included: camping, golf, knitting, crocheting, card playing, and parties. She thoroughly enjoyed her 100th birthday party celebrated in July of 2011. She was honored as one of Montana’s centenarians in April of 2015 and every year since then. Always the devoted mom, she offered her advice and guidance for all of her family members when needed. She is survived by her two sons, David (Colleen) Niklas of Helena and Gary (Marilyn) Niklas of Seeley Lake; five granddaughters, Pam (Bill) Watson, Tammy (Dave) Lindgren, Laura (Mike) Barrett, all of Helena; Toni Hansen of Liberty Lake, WA, and Stacy Fessenden of Helena; and eight great grandchildren: Tyler, Will, and Carson Watson; Ashley and Hunter Lindgren; Taylor Hansen; and Jamie and Anthony Fessenden. A celebration of her life will be held at St. Mary’s Church on Tuesday, April 9, 2019, at 12:10 p.m. A luncheon will follow in the church social center. In lieu of flowers, the family requests memorials to a charity of the donor’s choice. On behalf of Charlotte, her family wishes to thank the staff of St. Peter’s Hospice for their dedicated care over the past three months. To the staff at Touchmark, we can never express our gratitude and appreciation for your incredibly compassionate and loving care, and for always helping Charlotte retain her dignity. To those of you that went above and beyond, especially during her final days, your kindness will never be forgotten. Please visit www.aswfuneralhome.com to offer a condolence to the family or to share a memory of Charlotte. 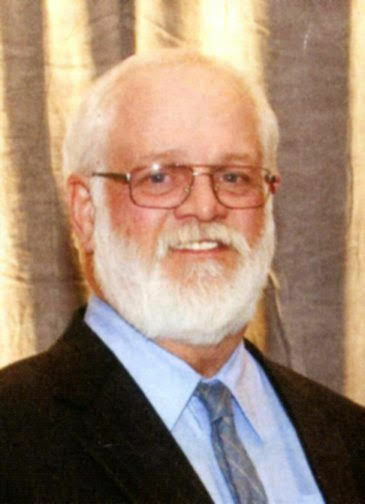 MOORE, Phillip “Phil,” age 77, of East Helena passed away Wednesday, April 3, 2019. Cremation has taken place and no services will be held at this time. Please visit www.aswfuneralhome.com to offer the family a condolence or share a memory of Phil. CLANCY, Daniel “Dan”, age 69 of Helena passed away Monday, April 1, 2019. A memorial service celebrating Dan’s life will be held at 2 p.m. today, April 5, at the Fortress of Joy, 720 Faw Road. A coffee and cookie reception will follow the service in the fellowship hall of the church. Donations in Dan’s name can be made to Montana Supporting Solders, PO Box 4964, Helena, MT 59604. Please visit www.aswfuneralhome.com to offer a condolence to the family or to share a memory of Dan. MUCH, Judy M., age 75, of Helena, passed away on Sunday, February 24, 2019. A graveside service will be held at 1 p.m. today, April 5, in the committal shelter at the Montana State Veterans Cemetery at Fort Harrison. In lieu of flowers, memorials in honor of Judy are suggested to, Frontier Home Health & Hospice, 800 Front St., Helena, MT 59601 or to Compassus Hospice, 1075 N. Rodney St. Suite 102, Helena, Montana 59601. Please visit www.aswfuneralhome.com to offer the family a condolence or to share a memory of Judy. DANA, Kenneth M., age 94, of Helena, passed away April 1, 2019. A Viewing will be held from noon p.m. to 1 p.m. today, April 5, 2019, with a Funeral Service to follow at 1 p.m. all at Anderson Stevenson Wilke Funeral Home, 3750 N. Montana Ave. Burial with Military Honors will follow the service at the Montana State Veterans Cemetery, Ft. Harrison. A Reception will be held after the burial location to be announced. Please visit www.aswfuneralhome.com to offer the family a condolence or to share a memory of Ken. WICK, Beverley “Miz Bev” M., age 66 of Helena passed away March 29, 2019. A graveside service with full military honors will be at 11 a.m. on Monday, April 8, at the Montana State Veterans Cemetery, Fort Harrison. A celebration of life will immediately follow the burial at The Valley Hub, 4960 North Montana Ave., Helena. Donations in Beverley's name can be made to Helena Friendship Center, 1430 Sanders St., Helena, MT 59601 or Toys for Tots, helena-mt.toysfortots.org. Please visit www.aswfuneralhome.com to offer the family a condolence or share a memory of Miz Bev. BRIGHT, James, age 90, of Helena passed away Saturday, March 23, 2019. Graveside services will be held at 11 a.m., today, April 5,, in the Committal Shelter, at Montana State Veteran’s Cemetery, 3550 Hero’s Rd, Fort Harrison. Please visit www.retzfuneralhome.com to offer a condolence or leave a memory of James. In memory of Martha Lee Johnson, age 65, of Tupper Lake, NY. Born in Ridgewood, New Jersey, January 10, 1954, Martha grew up in Tupper Lake, New York. She was the second child of Jean M. Schutt and William C. Johnson Jr. Shortly after her birth, Jean passed and William’s second wife, Jane Bobak adopted Martha and her sister Sandra. Martha held many extraordinary talents including cooking, sewing, quilting, beading, gardening and skiing. She served on ski patrol for over twenty years, forging everlasting friendships during that time. After her daughter Elena was born, Martha earned her Associates degree and began her second career as an x-ray technician. After living in Rutland, Vermont, and then North Woodstock, New Hampshire, for many years Martha moved to Helena, Montana, in 1997 where she worked for Great Divide Ski Area and Gates of the Mountains, which remained special places to her. Shortly after moving to Helena, Martha started work as an x-ray technician at Helena Urgent Care, and later Helena Orthopedic Clinic. Martha’s work ethic was remarkable, and she especially enjoyed cooking for special events at the clinic. Martha was preceded in death by her father, William C. Johnson Jr.; mother, Jean M. Schutt; and stepmother, Jane O. Bobak. Martha is survived by her daughter, Elena C. Johnson; siblings, Lois, Lyndon and Peter Johnson and Sandra Olsen; brother-in-law, Bill Olsen; nephew and wife Robert and Erin Farris-Olsen; great nephews, William Tupper and Benjamin August Farris-Olsen; nieces and nephews Kathleen, Lucas and Tyler, and Caleb, Samantha, and Jeremy Johnson as well as numerous great nieces and nephews and loving aunts and uncles. Family and friends will be received on Saturday, April 6, from 4 to 6 p.m. at 711 Highland, at Sandi’s. A Memorial Service will be held Sunday, April 7, at Free Ceramics, 650 Logan Street, at 4:30 p.m., with a light reception to follow. Additional services will be in Tupper Lake, NY, at a later date. Please visit www.helenafunerals.com to offer condolence or leave a memory of Martha. Memorial donations may be made to Helena Food Share, Helena YWCA, Helena 6th Ward Garden Park and The Friendship Center. Please send family condolences and memories to www.helenafunerals.com.